The seismic refraction method uses the refraction of seismic waves on geologic layers and rock/soil units in order to characterize the subsurface geologic conditions and geologic structure. It is based on the analysis of the waves’ travel time in the subsoil. 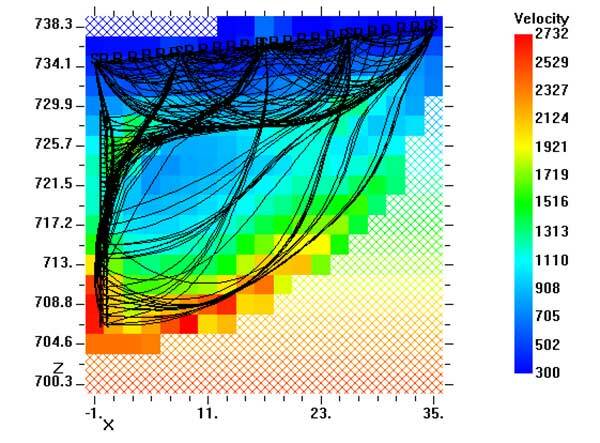 It is possible to define subsoil models based on different wave velocities. As the velocity of the compression waves is a function of elastic parameters of the medium where they propagate, it is possible to evaluate the dynamic elastic moduli of the medium when knowing the density.